The benefits of olive oil used in massage oils or as a massage oil itself, include the healthy healing of dry, flaky skin caused by skin conditions, medication, or cold weather. When combined with vitamin E oil, it creates a wonderful moisturizing skin treatment. A great massage oil recipe for rejuvenation is to combine one capsule of vitamin E, 1/2 cup of olive oil, 4 drops eucalyptus essential oil, and 4 drops grapefruit essential oil, which creates a healing massage oil to use on clients, family and friends. Another massage oil recipe for relaxation is to use 1/4 cup of the extra-virgin olive oil, 1/4 cup of sweet almond oil, 2 Tablespoons of Vitamin E, and a few drops of a lavender essential oil. Massage therapy alone helps to relieve muscle pain, aches and spasms. But, when you combine it with olive oil benefits, you get additional nutrition for the skin. Olive oil is highly regarded in India as medicinal. Ayurvedic Massage, which includes extra-virgin olive oil, helps to alleviate swelling, neck pain, gout, headaches, arthritis, muscle aches and much more. Ayurvedic or Indian Head Massage helps to relieve a dry scalp and clear conditions like dandruff. Technique, as well as using quality massage oils, produces healthier, shinier hair. To create massage oils used in Indian Head Massage treatments, combine 8-9 drops of lavender essential oil (or another flower scented essential oil) with 1/4 cup of extra-virgin olive oil and 1/4 cup sesame oil. Massage into the scalp using circular motions, shampoo hair and rinse. 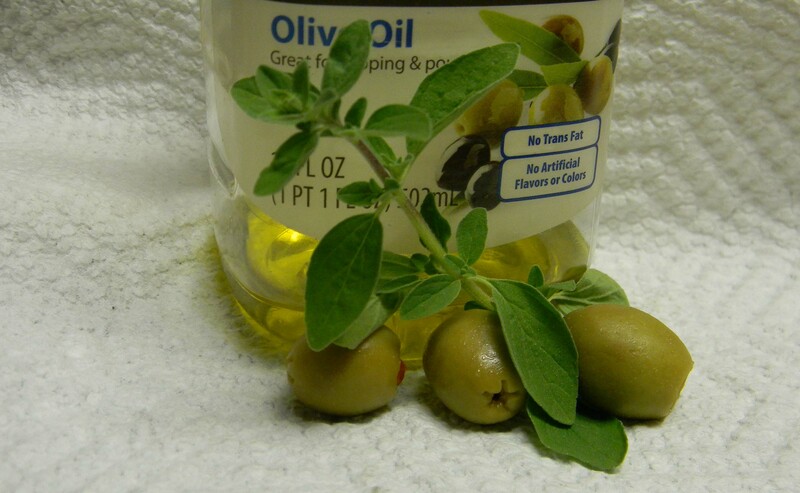 Olive oil is also great for removing makeup, and healing dry skin around nails and elbows. Although some therapists believe olive oil benefits to skin are not great enough when compared to it's thick and sticky texture, others love it for it's natural, healing properties. To reduce thickness, simply heat in hot towel cabi or microwave for a few seconds to warm the oil, or mix with another carrier oil such as grapeseed oil. This massage cream with olive oil is enriched with first pressed olive oil, Jojoba, Sesame, and Grapeseed Oils is known as "Liquid Gold" for it's ability to soothe sore, aching muscles, and help repair dry, cracked skin. It also helps provide exceptional glide and workability in a massage therapy session, in addition to one of the best benefits of olive oil, replenishing needed moisture in skin. Natural Cleanse website will give you more ideas on using olive oil to cleanse the liver.